So Superman is running a fever again. The seizures are back again. They are not sure what is going on now. Running a lot of tests again. So, Thursday or Friday afternoon when he was getting his deep suctioning he aspirated and they think that might be the cause of the fever. They are trying to get the ball rolling to get him on the epidiolex the cbd approved medication. Oh not mention his room was moved again. Once again I am asking for prayers and positive thoughts. Thanks for all the love for my Superman. Author 14dfkPosted on December 17, 2018 December 17, 2018 Categories # Ellen DeGeneres, AACPS, Bus aids, Dukin Donuts, Ellen, epilepsy, exercise, Family, heroes, John Hopkins, Life, Medical Marijuana, people, Religion, seizures, Special Needs, Superman, Surgery, Uncategorized, VNSTags # Dr Oz, # Ellen DeGeneres, absence seizures, accident, allergic reaction, amazing, Angel, anger, antibiotic, autism, Baltimore, battle, beast, body, boy, brain, brighter, brother, Cannabis, CBD OIL, Charlotte's Web, Christmas, chromosome, complications, condition, dark, Darkness, Destiny, draining, dream, duplication, emotionally1 Comment on Update on Superman! Super man says thank you! Author 14dfkPosted on November 30, 2018 November 30, 2018 Categories # Ellen DeGeneres, AACPS, Bus aids, Dukin Donuts, Ellen, epilepsy, exercise, Family, heroes, John Hopkins, Life, Medical Marijuana, people, Religion, seizures, Superman, Surgery, Uncategorized, VNSTags # Dr Oz, # Ellen DeGeneres, absence seizures, abysmal, accident, allergic reaction, Almighty, amazing, anesthesiologist, Angel, anger, animal, autism, Baltimore, battle, beast, beautiful, bed, behavior, blood, body, boy, brain, brighter, Cannabis, change, children, Christmas, chromosome, computer, condition, dark, defenseless, despair, DiapersLeave a comment on Super man says thank you! So, Superman had his breathing tube removed today but it didn’t last too long they had to put it right back in because he wasn’t ready for it to come out. They took him off his rubinol which is for drooling. They put him back on it today. To help with all the secretions. They said they would try again in a couple days. We have been here since Halloween so that makes it twelve so far. I wish they figure something out. Especially what is causing the fevers. Still no explanation for them. They have done almost every test they can think of. They are calling him a mystery. I don’t know what to think about that. I wish they would figure something out and bring my Superman back to me. Please continue to pray and send positive thoughts. Thank you! Superman is slowly coming out of the sedation coma! His poor body is all out whack. He has been given insulin because his sugar has been high. The medication take a toll on his body. Yesterday they had him on ketamine drip which raised his blood pressure, so they had to stop it. One good thing is his are stable for now. Hopefully they stay that way. 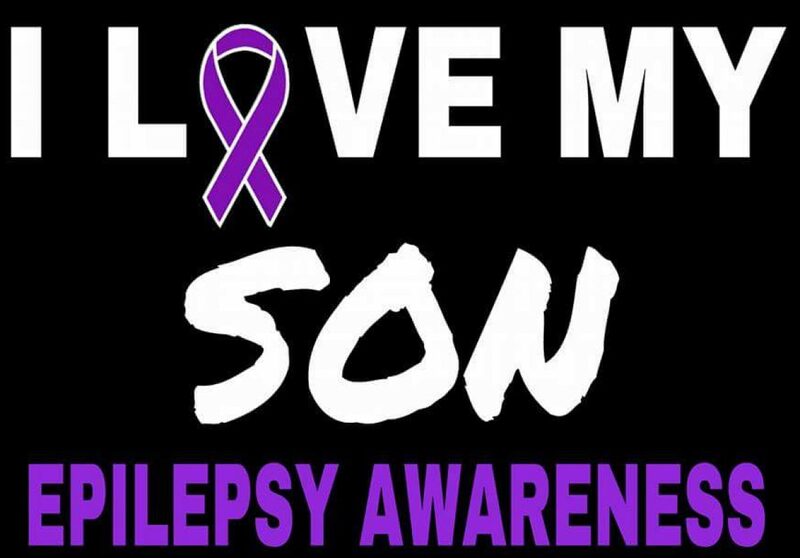 Author 14dfkPosted on November 9, 2018 Categories # Ellen DeGeneres, AACPS, Bus aids, Dukin Donuts, Ellen, epilepsy, exercise, Family, heroes, Life, Medical Marijuana, people, Religion, seizures, Special Needs, Superman, Surgery, Uncategorized, VNSTags absence seizures, abysmal, abyss, accident, aces, acid, allergic reaction, Almighty, amazing, anesthesiologist, Angel, anger, animal, antibiotic, autism, Baltimore, baseball, battle, beautiful, bed, birthday, blood, boy, brain, brighter, brother, bruises, catcher, CBD OIL, Charlotte's Web, condition, dark, Darkness, DiapersLeave a comment on Update on Superman!